In B2B, marketing strategies usually follow the same formula: do whatever it takes to get people to your website, and then remarket to them until they either convert or grow to resent you. While you might see initial success, this strategy often hurts long term growth. There’s rarely a focus on getting only the best quality leads at the top of the funnel, and your brand will be hurt over time if people feel more harassed than helped by marketing. Creating a thoughtful advertising funnel will help you find the right people for prospecting, nurture leads with relevant resources, and send the best prospects to your sales team. Plus, this upfront work can help you create automated marketing campaigns that free up time to focus on other things like customer retention. Learn how to create a full-funnel advertising strategy for demand generation, along with the best channels for each stage and example ads to get you thinking. What is the demand generation funnel? 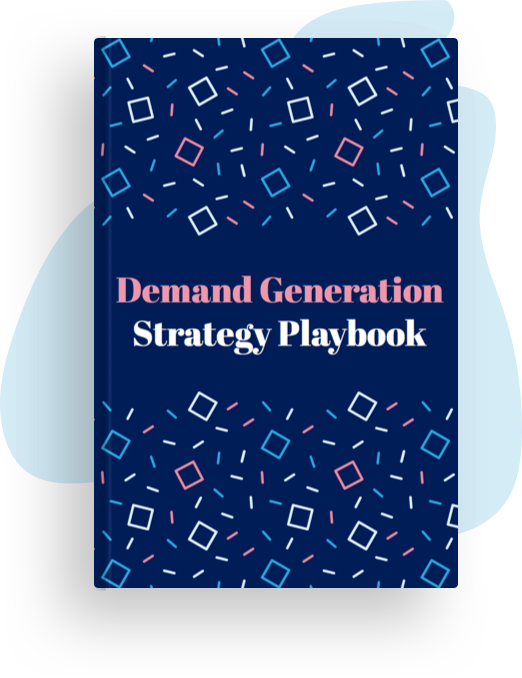 Demand generation marketing creates need for a product or service with the goal of passing qualified leads to the sales team. It bridges the marketing and sales funnels, covering everything from first interaction to when a qualified lead becomes a customer. Moving leads through the stages of the marketing funnel requires the right messaging at the right time. Someone at the awareness stage isn’t ready to purchase, just like someone who is evaluating options isn’t the right fit to see brand marketing campaigns. 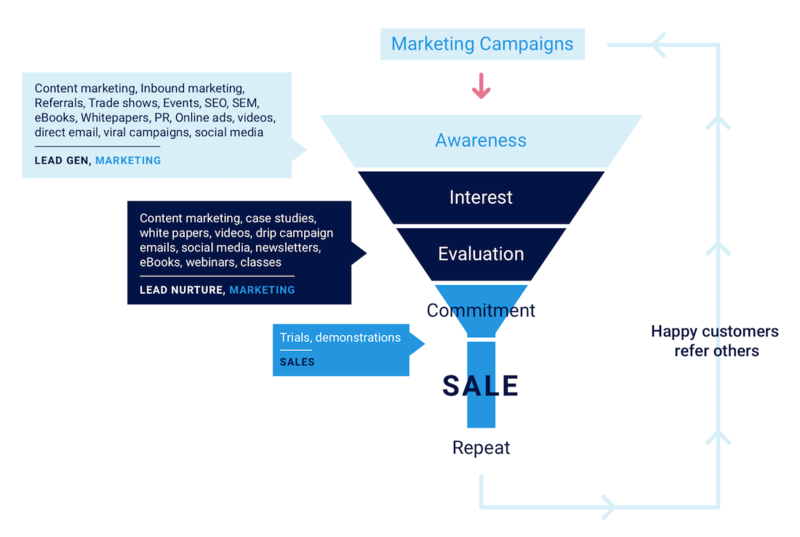 In SaaS and ecommerce, it’s tempting to focus marketing efforts on bottom-funnel conversions. However, top funnel marketing is vital to sustainable growth. After all, you can’t get more customers if people don’t know that your company exists. At the awareness stage, paid marketing helps you reach audiences who haven’t interacted with your company before. It’s the perfect opportunity to introduce people to your brand and explain the problem that your product solves. Reaching the right people at the awareness stage is key. When done right, awareness marketing puts you in front of ideal customers before they start looking for competing services, letting you emerge as the top choice. Awareness marketing is a delicate mix of reach and quality. An ideal placement gets you in front of the largest possible portion of your target audience. So, if this group is small, don’t expect massive scale from the right channels. At the awareness stage, marketing channels such as sponsored content, syndicated content, email sponsorships, and ad networks can help you strike the balance between reach and audience. Lets you introduce your product or service to people in a longer-form format than most advertisements. Usually booked directly with publishers, letting you can control audience quality. Shows up when the user is already looking to read or watch content, so you have a more captive audience. 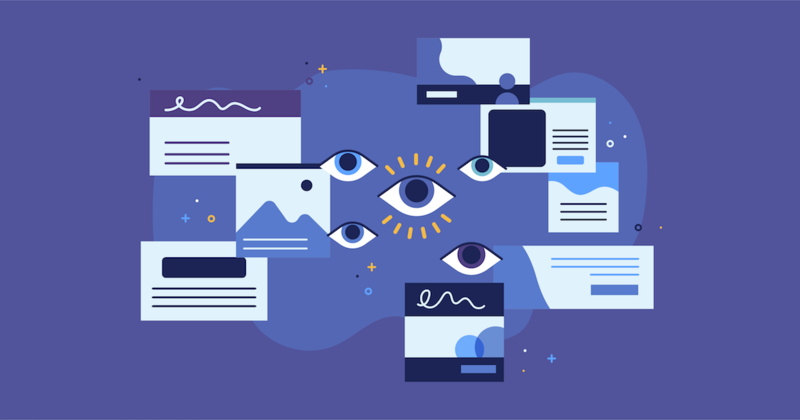 This sponsored content from Wix on CSS-Tricks is a fantastic example of raising product awareness among a target audience by reaching them in the right place with a relevant message. 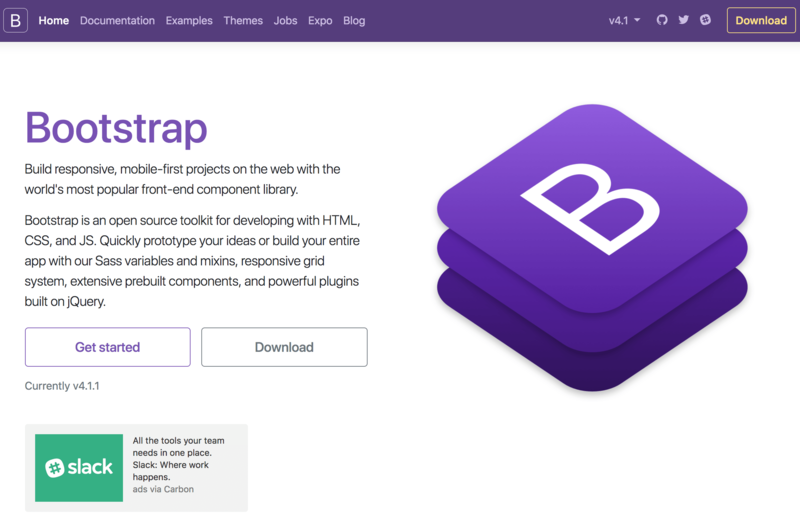 It details how developers can use Wix to save on “technical debt”. Gives your content more reach through channels like content aggregators and curated newsletters. 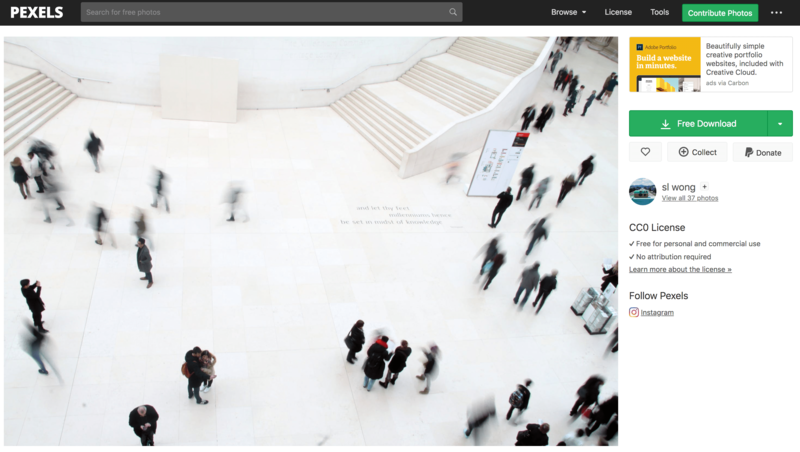 Lets you control the user experience since people are directed back to your website or blog. Kicks off a relationship with target audiences by providing interesting, valuable content related to your product or service. 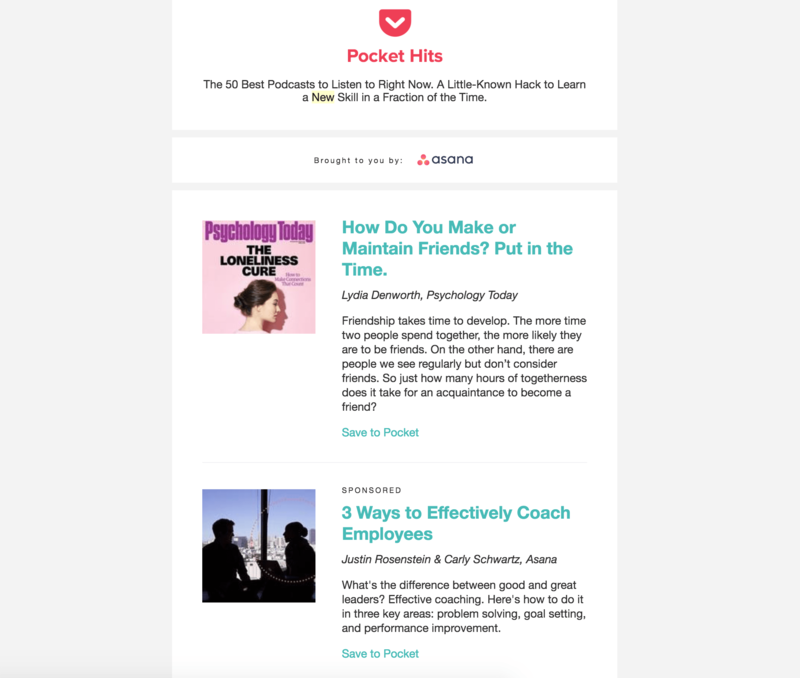 Asana promoted its content on Pocket’s newsletter, which reaches millions of tech-savvy subscribers. The content blended with other curated pieces and provided legitimately useful insight for managers, helping it raise brand awareness and provide instant value. Are often longer form than most types of online advertising. Provide a way to connect with audiences that are likely to install ad blockers or be skeptical of advertisements on the internet (looking at you, developers). The Hustle’s subscribers tend to be young professionals who are decision-makers at their job. 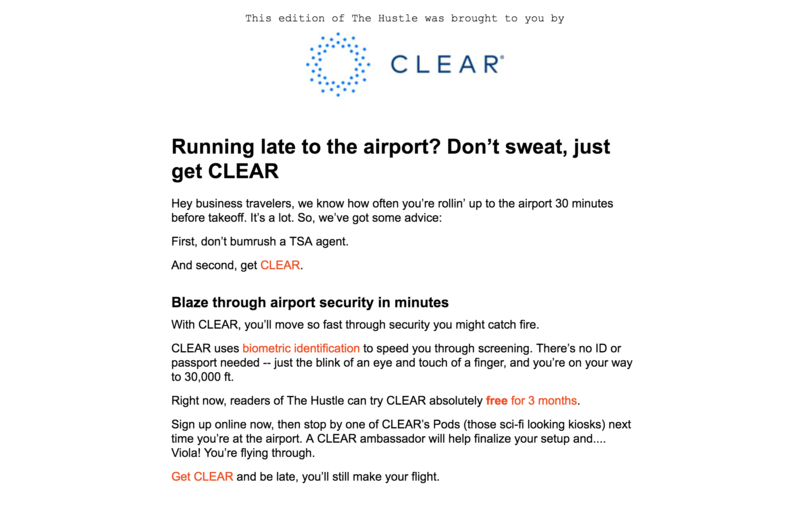 This advertisement from CLEAR introduces a solution to a problem that this audience often faces: running late to the airport. Two key types: general ad networks that show ads across a ton of different placements but are narrowed by user data (Facebook, Google, LinkedIn), and ad networks that are optimized for niche audiences and only show on websites relevant to those groups. Work well for prospecting because you can reach a target audience in a lot of places through a single campaign. Usually offer lowest CPMs and CPCs because they include a wide range of websites and placements. This display ad from Slack appeals to professionals with overwhelming inboxes, who might not know there’s an alternative to 400 unread emails. By marketing on the Carbon Ads network, Slack is also able to narrow in on tech-savvy audiences who are already focused on tech news and resources. In the marketing funnel stages, interest is all about showing people why your product or service is the right fit for them. It’s kind of like a second date: the person has decided not to rule you out, but you still need to convince them that you’re the one. This is where lead nurturing becomes important. Ask yourself how you can make someone better understand your product and how it will help them. The answer to this can and should be influenced by their interactions with your brand so far. For example, if someone reads a top-funnel blog post, then interest marketing campaigns could promote a content download. Then, you can remarket to those leads with a product page, followed by a case study. These automated marketing campaigns can span the full funnel, which is ideal for companies with a long sales cycle or if your target audience is less likely to share personal information in exchange for content. At the interest stage, people are beginning to research solutions to a particular problem. Interest marketing campaigns should help people understand the pain point you solve and how exactly you plan to do that. This information-rich stage of the marketing funnel works best if calls to action focus on providing help instead of closing a sale. Remarketing campaigns, ad networks, and search engine marketing can help you get in front of the right people. Run automated marketing campaigns by adding pixels on pages likely to be visited during the awareness stage (homepage, blog posts). Help people better understand your product by promoting gated content, product pages, or any next steps that fit into your sales cycle. Make sure your frequency settings are managed so you’re not harassing people, especially if you don’t have a huge audience moving through your funnel. Beyond remarketing, you can also use ad networks at the interest stage to reach people who are likely to already know about you or to buy a solution like yours. Can find your target audience through vertical networks, interest targeting, lookalike audiences, or in-market audiences. Help people better understand your product by promoting gated content, product pages, and features. Adobe uses the Carbon Ads design network to raise interest of its Creative Cloud by promoting a lesser-known feature. Audiences on this ad network are likely to know about Creative Cloud, so this advertisement works as an educational tool for the larger product. Campaigns on popular search engines can help you get in front of people who are considering products or services like yours, but not at the point of purchase. Landing pages should be focused on your features and how they benefit users, along with case studies or social proof from happy customers. 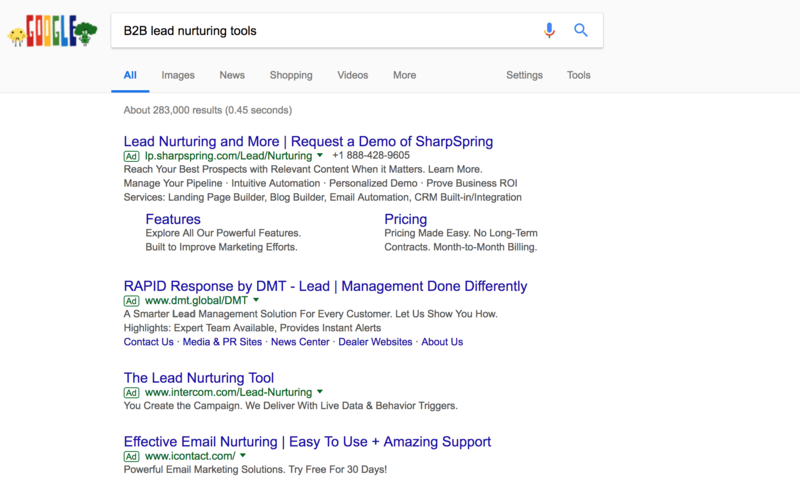 Sharpspring, Intercom, and iContact use search engine marketing to grab the interest of people looking for B2B lead nurturing tools. By the time someone makes it to the evaluation phase, they already know they need a solution to a particular problem. All that’s left to decide is which solution they’re going to go with. At the bottom of the funnel, people often know which companies compete in the space and have a short list of ones they think might work best. This is the marketing funnel stage right before they’re passed to sales, so think about what information or offers might nudge this person to purchase. Evaluation is all about making your closing arguments for why your product or service is the right choice. Use strong calls to action on these campaigns to encourage people to act. Search engine marketing, Quora campaigns, and remarketing campaigns can help you close the deal in this stage. Arguably the most important channel for bottom-funnel marketing because people are motivated to buy and are looking for solutions like yours. As a result, expect bids to be high and very competitive for crowded fields as everyone competes for the coveted #1 rank. Reduce any friction by making your landing page as relevant to the search query as possible. For example, if someone is comparing you to a competitor, a landing page that breaks down the key differences will go a lot further than a basic product page. 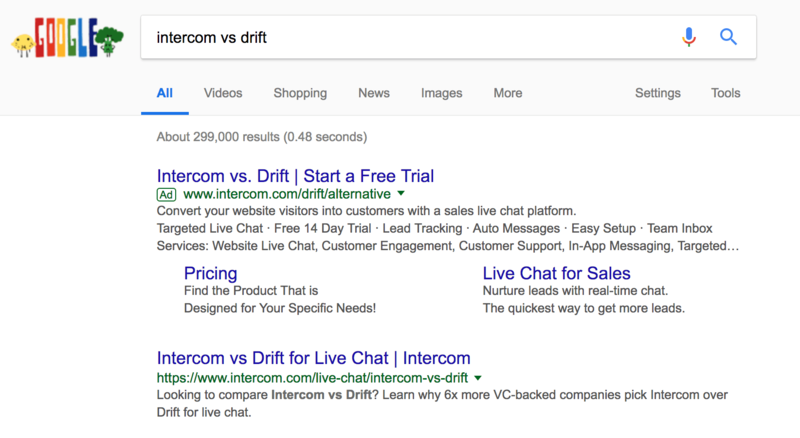 People looking to decide between Intercom and Drift for on-site messaging see this ad on Google. Notice the strong call to action to start a free trial or explore the pricing page. Quora answers rank high for certain searches, especially for people looking for specific answers in the evaluation phase of the demand generation funnel. Again, make your landing page as relevant to the search as possible to provide the most value to prospects. On this post, Mouseflow's ad appears before community answers on the best analytics tool. Use remarketing campaigns to put your product in front of people who are aware of your brand and clearly interested in it. Think about your sales funnel to decide whether to remarket with interest or evaluation-stage campaigns. Did someone view the purchase page and bounce? Did someone start filling out a form before leaving? Those both suggest the person is further down the funnel and a warmer lead. Landing pages should feature hard calls to action such as sign up or schedule a call. Successful advertising funnels use these channels to deliver messaging and resources that align with a prospect’s readiness to buy. Using the right mix of platforms and information improves lead quality, nurtures more leads toward purchase, and ultimately lays the foundation for sustainable growth.